Indonesian ride-hailing service Go-Jek’s value was estimated at $10 billion by a U.S. market intelligence company, putting it in the ranks of startups called decacorns. New York-based CB Insights has listed Go-Jek among 19 decacorns around the world, along with the likes of Uber Technologies Inc., according to the Jakarta Post newspaper. That would make Go-Jek Indonesia’s first startup to join the $10 billion market-valuation club, and the second in Southeast Asia after rival ride-hailing service Grab. A unicorn is a closely held startup valued at more than $1 billion, while decacorn uses the Greek word for ‘ten’. Go-Jek and Grab are battling for supremacy in the Southeast Asian market after Uber pulled out of the region last year. Grab recently raised about $1.5 billion from SoftBank Group Corp.’s Vision Fund, bankrolling its effort to expand into new services across the region. That means it’s received about $4.5 billion from investors over the past year. Go-Jek has presented a challenge for Grab, with the Jakarta-based startup marching into Grab’s home market of Singapore as well as Vietnam and Thailand. Go-Jek Chief Executive Officer Nadiem Makarim and Grab founder Anthony Tan were classmates at Harvard Business School. Southeast Asia’s two most valuable startups have been looking to rapidly expand in everything from mobile payments to food delivery. 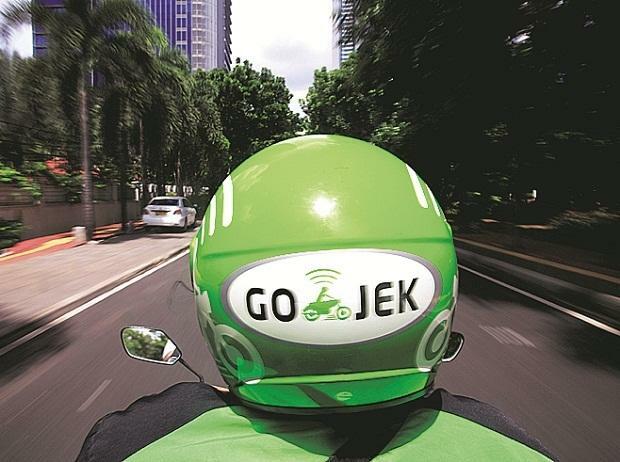 Go-Jek raised more than $1 billion in a continuing funding round from a clutch of internet giants including Google, JD.com Inc. and Tencent Holdings Ltd., a person with knowledge of the financing said in January. Both companies are using the proceeds to shore up their positions in Indonesia and expand around the region, while merging payments with ride-sharing and food delivery to create so-called super apps.